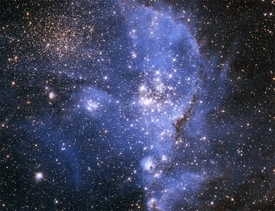 The Hubble images, taken with the Advanced Camera for Surveys, identify three stellar populations in the SMC and in the region of the NGC 346 nebula � a total of 70,000 stars. The oldest population is 4.5 billion years, roughly the age of our Sun. The younger population arose only 5 million years ago (about the time Earth's first hominids began to walk on two feet). 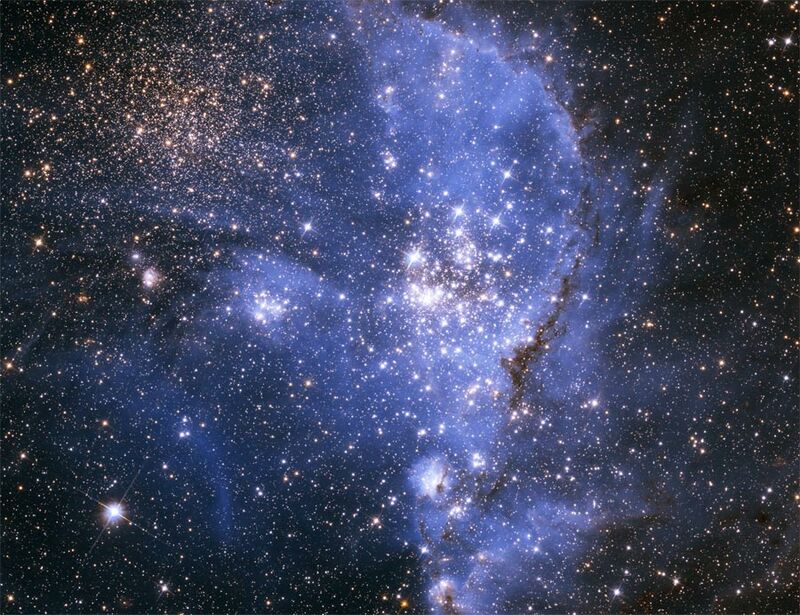 Lower-mass stars take longer to ignite and become full-fledged stars, so the protostellar population is 5 million years old. Curiously, the infant stars are strung along two intersecting lanes in the nebula, resembling a "T" pattern in the Hubble plot.